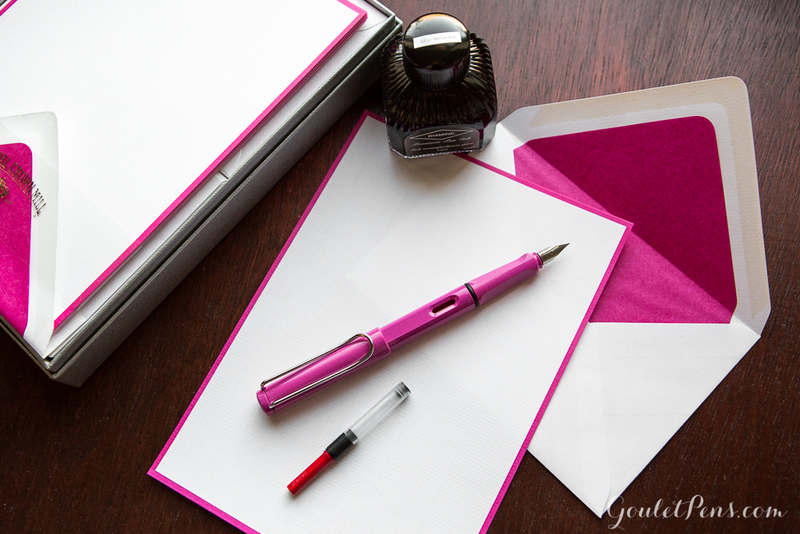 InCoWriMo 2016: Write Letters this February! You open the mailbox. Inside awaits a mystery. You slowly pull the letter from the darkness, barely containing your excitement. The envelope is stiff and crinkles pleasantly in your hand. You recognize the scrawled name and begin to imagine the words scribbled inside- heartfelt, funny, or simply informative? You don’t know yet! It is an envelope full of promising possibilities. 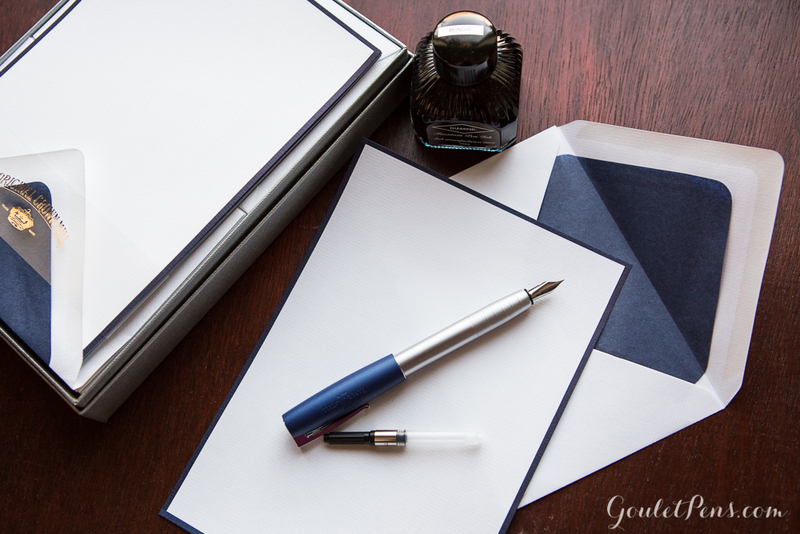 Is there anything better than the simple pleasure of receiving a handwritten letter? International Correspondence Writing Month, or InCoWriMo for short, is a month dedicated to exploring the joys of written correspondence. 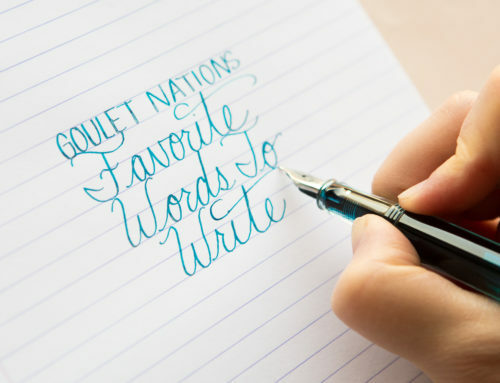 replace the handwritten word. And while receiving a letter is a beautiful thing, writing one is arguably equally as fun. So I say, embrace nostalgia! Take your pen in hand and battle against the digital tide. 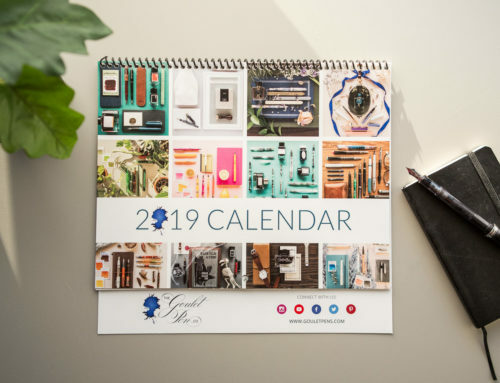 By using a fountain pen filled with your favorite ink and some gorgeous stationery, you can spread your thoughts and ideas across the page, and eventually, the world. 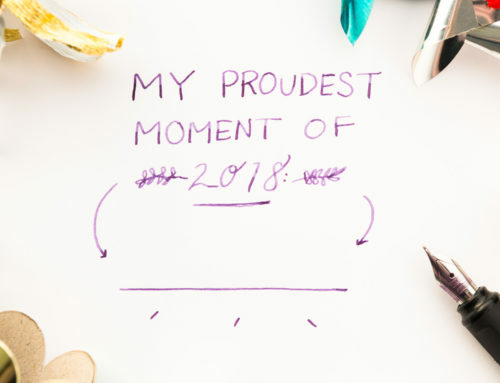 Whether you are meandering or to the point, through your handwriting and your words, you will be imparting a piece of yourself. 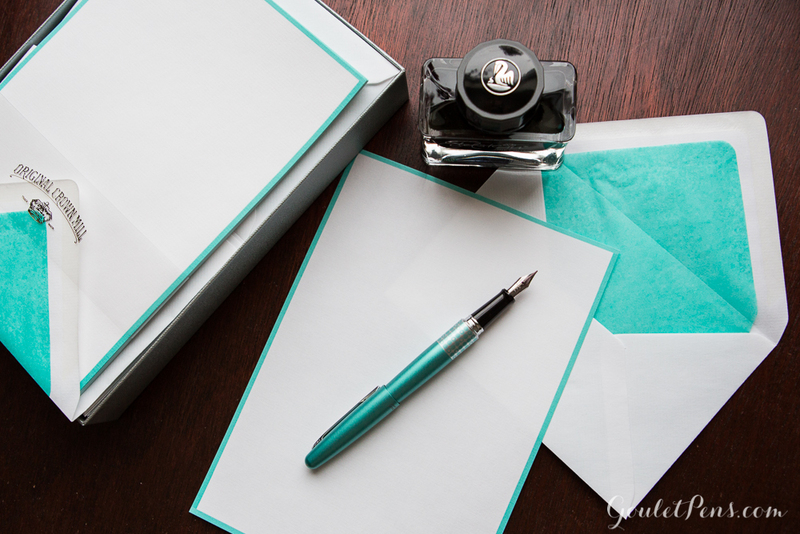 The recipient will not only receive your lovingly scripted letter, but also the knowledge of the time and attention you gave it. To participate in InCoWriMo, all you need to do is write one letter every day for the month of February. That’s it! You even get a bonus day of writing this year, since it’s a leap year. Additionally, I’ve put together this awesome list of people who would probably, most likely, love to hear from you. Additionally, if you’d like to impart some words of love to a stranger, you can choose to participate in the More Love Letters movement. 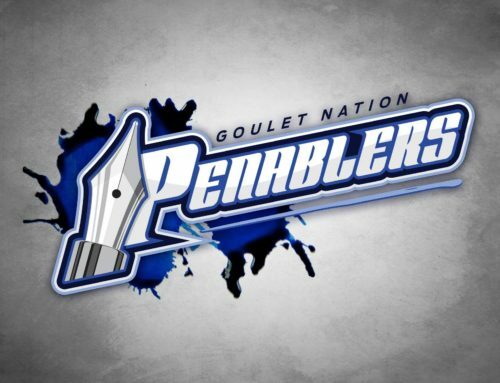 You can also always write to us here at the Goulet Pen Company! We always love to hear from you. We’ve added new colors to our selection of Original Crown Mill Correspondence sets so you can pick your favorite. Additionally, we’ve put together some InCoWriMo Package Sets combining an Original Crown Mill Correspondence set with a matching pen and ink. You can, of course, purchase all these items separately, or purchase them together at a discount. 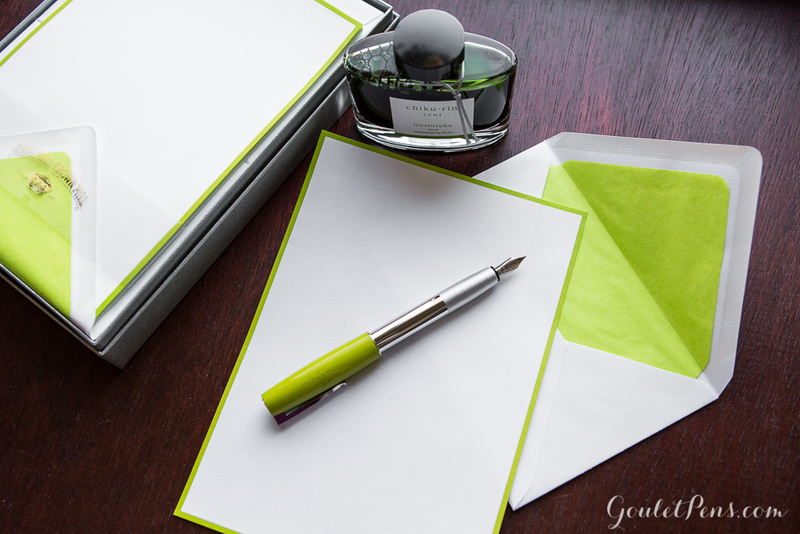 This Bamboo Green Stationery Package set combines the Bamboo Green Original Crown Mill Correspondence set with a Faber-Castell Loom fountain pen in Piano Lime, and a 50ml bottle of Pilot Iroshizuku Chiku-Rin for $84.90. 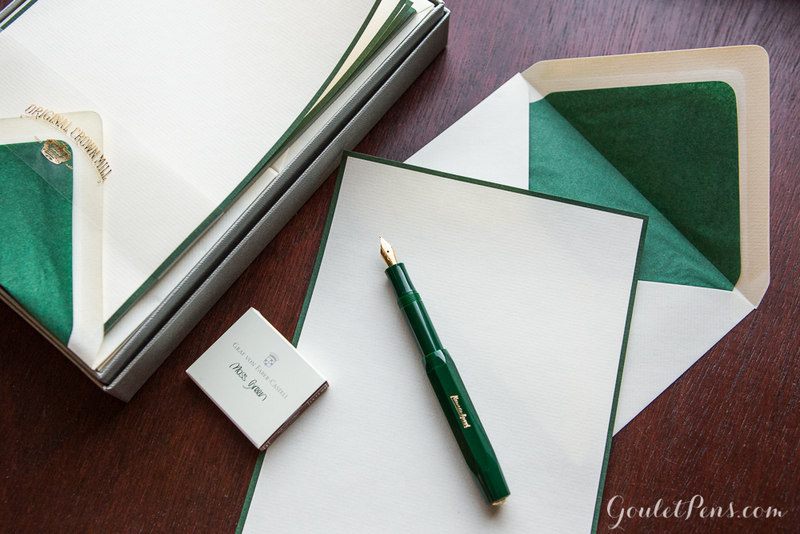 Get a Kaweco Classic Sport fountain pen, and a box of Faber-Castell Moss Green standard international short cartridges to go with your Original Crown Mill Correspondence set in Cream with Dark Green accents for $46.90. Think pink with the Original Crown Mill Set in Fuchsia matched with a Lamy Safari fountain pen in Pink, and an 80ml bottle of Diamine Deep Magenta for $68.90. 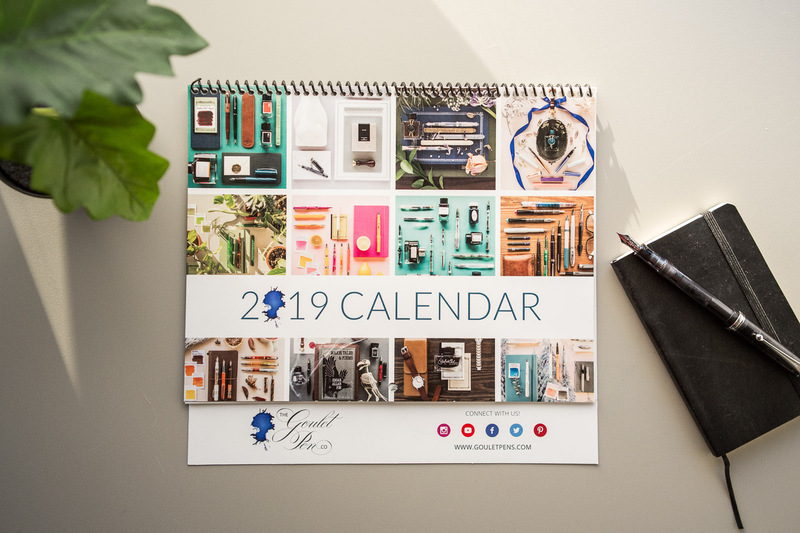 You can choose either the Original Crown Mill Correspondence set in Navy/Cream or Navy/White and pair it with a Faber-Castell Loom fountain pen in Metallic Blue, and an 80ml bottle of Diamine Midnight ink for $73.90. If bright blue is your color, you’ll love this set! 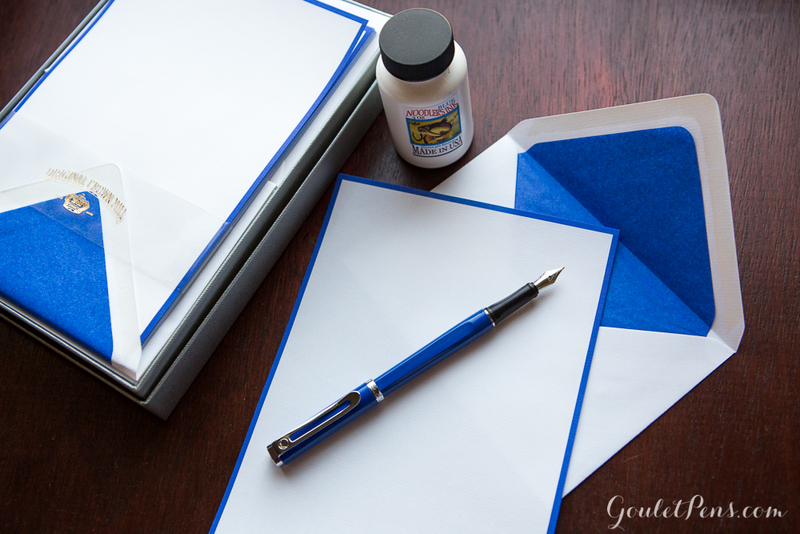 It combines the Original Crown Mill Correspondence set in Royal Blue with a Monteverde Limonada fountain pen in Capri Blue and a 90ml bottle of Noodler’s Blue for $58.90. 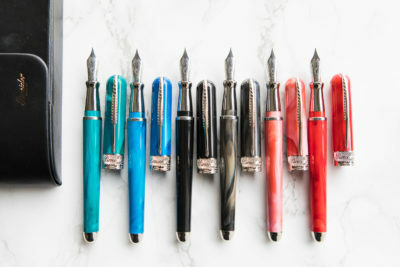 This set includes the Original Crown Mill Correspondence set in Turquoise with a 50 ml bottle of Pelikan Edelstein Jade and your choice of a fine or medium nib Pilot Metropolitan Retro Pop Turquoise. Available at a discount for $58.90! 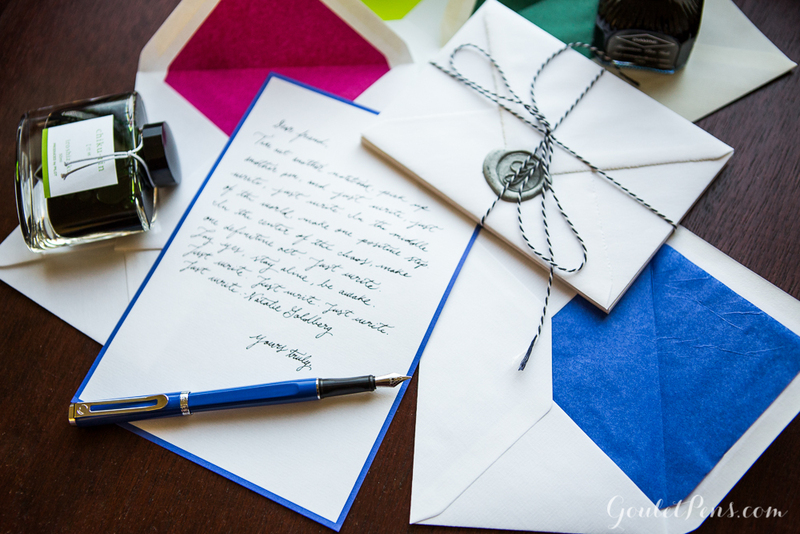 Try the J. Herbin Wax Sealing Package Set. 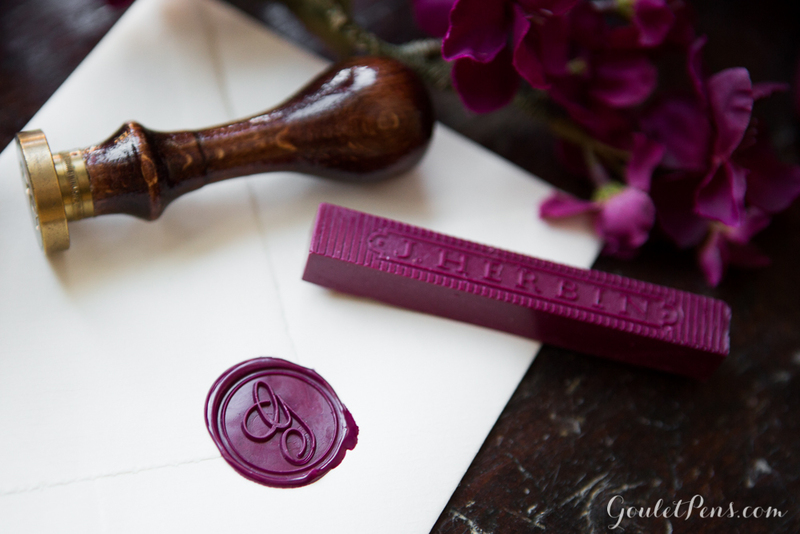 Don’t forget to give your letter your seal of approval. We have some awesome new J. Herbin Brass Seals with symbols like hearts, suns, and flowers. Give those a look here! If you are participating, be sure to share your experience on social media. 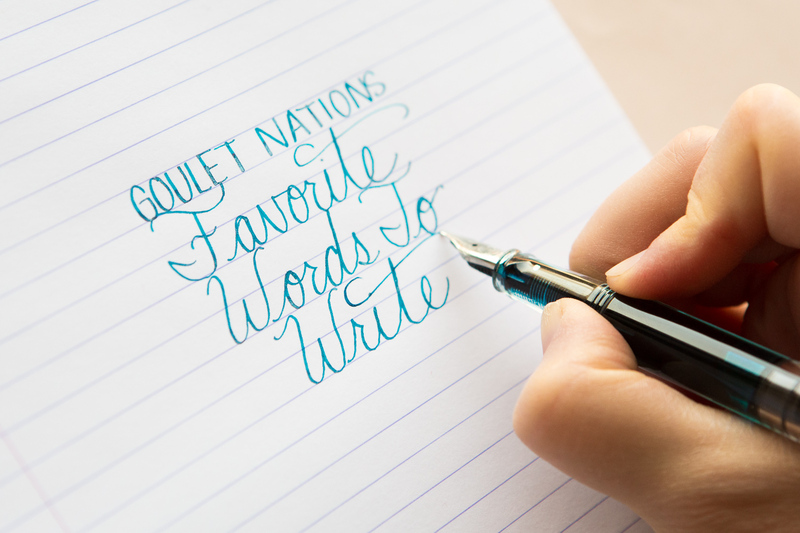 We’d love to see what you are writing with. Just use the hashtag #InCoWriMo on Twitter or Instagram. We’ll be sure to do the same. Have questions or want more information? Read through InCoWriMo.org! It hasn’t been updated since last year, but a lot of the information is still relevant and will help give your even more ideas. If you’d like to receive a letter, feel free to start a conversation in the comments below. Just realize that if you put your address up, it’s there for the entire internet to see. 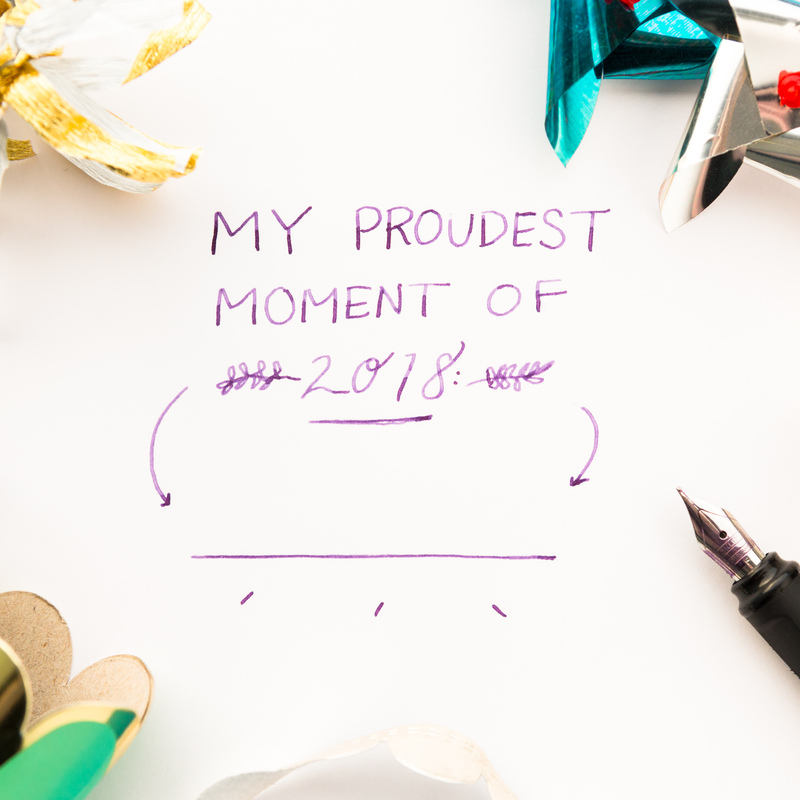 Will you be participating in InCoWriMo? Who will you be writing to?